Dr. Shounuck I. Patel is an interventional orthopedics specialist with Regenexx in Los Angeles and Orange County, California. Dr. Patel has a clinical interest in the biomechanical etiology of musculoskeletal injuries and pain conditions, and the holistic treatment of the whole-body continuum with innovative orthobiologic treatments, osteopathic manipulation and therapeutic exercise. Dr. Patel is board-certified in Sports Medicine, board-certified in Physical Medicine & Rehabilitation, and fellowship trained in interventional pain management. After earning his degrees across the nation at the George Washington University, Drexel University, and the Chicago College of Osteopathic Medicine, Dr. Patel completed his residency at the prestigious Kessler Institute in New Jersey, fellowship with the Orthopedic and Spine Specialists hospital of Pennsylvania, and advanced regenerative medicine training with Regenexx and the Interventional Orthopedics Foundation. With a passion for advancing the neuromusculoskeletal field, Dr. Patel lectures at medical conferences across the nation and is an expert instructor for the Interventional Orthopedics Foundation. He is a Clinical Assistant Professor at the Western University and Touro University colleges of osteopathic medicine, and mentor to residents through the American Osteopathic College of Physical Medicine & Rehabilitation. In addition to numerous publications including journal articles and book chapters, Dr. Patel is the illustrator/co-author of the recently published atlas, Musculoskeletal Ultrasound Cross-Sectional Anatomy. When he’s not busy with work, teaching, or catching up with paperwork, Dr. Patel enjoys photography, snowboarding, and spending time with his growing family. Ronald S. Cohen, M.D., is a board certified specialist in Sports Medicine. For the past 11 years, Dr. Cohen has been contracted by the Department of Defense to manage and direct the sports medicine program for all of the Marine Corps recruits in the western United States as well as serve as a special consultant for the Navy SEALs. He has had extensive experience and training in managing difficult injuries and chronic conditions and is excited to be able to provide the Advanced Regenexx Procedures to patients at our center. 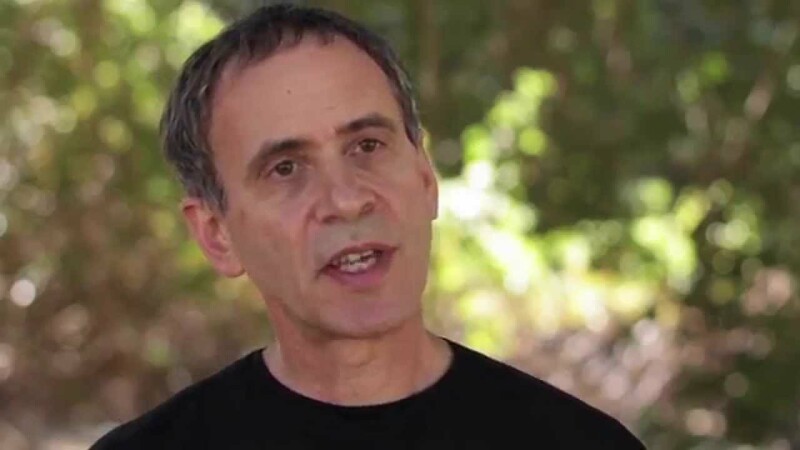 Dr. Cohen has had a distinguished career in medicine and has been recognized by his peers as an outstanding clinician winning several distinguished awards, including the prestigious Master Clinician award and an associate clinical professor at UCSD. Dr. Cohen is a dedicated physician and passionate family man who is also an avid golfer, fisherman and triathlete. Dr. Paul Handleman graduated from the Michigan State University College of Osteopathic Medicine in 1988. His medical career began in family medicine with an emphasis on musculoskeletal problems and osteopathic manipulative treatment. He established a specialized practice in Marin County focused on the treatment of musculoskeletal problems and chronic pain in 1995. In 2003, Dr. Handleman became interested in the field of Prolotherapy, a treatment that was popularized in the 1950’s by Dr. George Hackett. He traveled to Honduras in 2004 with the Hackett-Hemwall Foundation to participate in a Prolotherapy training and medical mission. He returned on a yearly basis for two weeks of intensive Prolotherapy training and missionary medical work. He subsequently returned for three additional years as a Prolotherapy instructor. Dr. Handleman is trained in and has been using musculoskeletal ultrasound (MSKU/S) diagnostically and musculoskeletal ultrasound guided injections for ligaments, muscles, joints, tendons, and nerves. 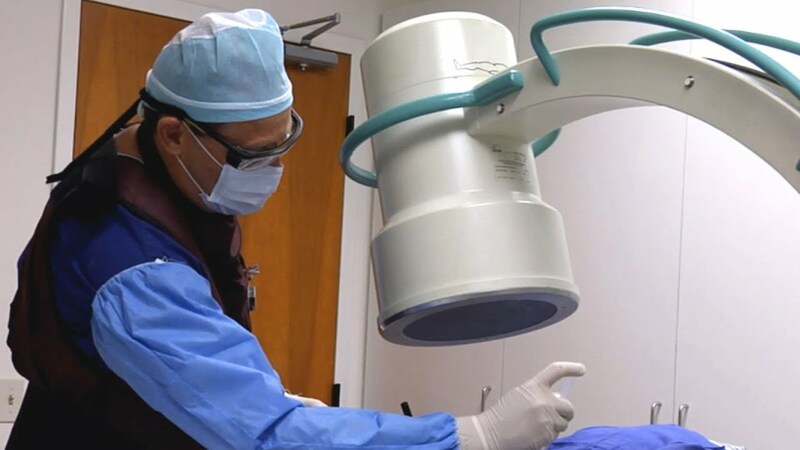 He has long experience utilizing fluoroscopic guidance for interventional injections. 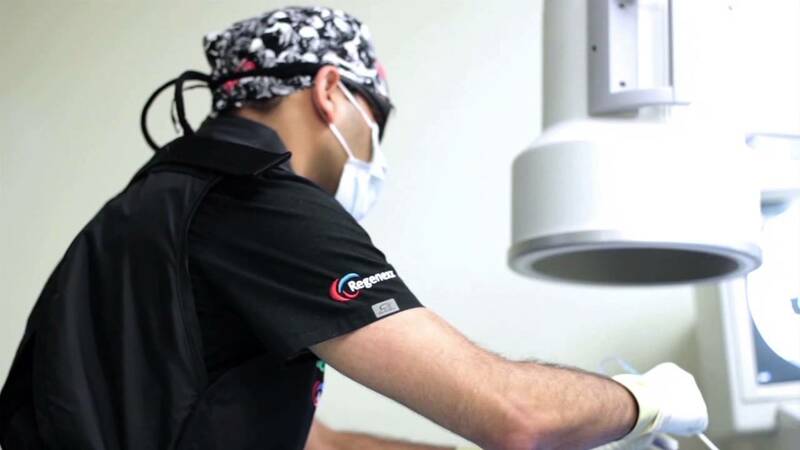 Dr. Handleman has completed extensive training in Regenexx procedures at the Centeno-Schultz Clinic with the founding physicians of Regenxx and additional training at our Oceanside, California center. From his training in osteopathic medicine, Dr. Handleman has long appreciated the importance of considering every patient as a unique individual. The osteopathic tradition emphasizes a holistic hands-approach to diagnosis and treatment. Understanding the advantage of combining physical treatment methods with advanced tissue regeneration procedures, makes Dr. Paul Handleman a valuable member of the Regenexx and Health Link team. Stephen Derrington, DO, is a regenerative interventional orthopedic physician, who is board-certified in Physical Medicine and Rehabilitation and fellowship-trained in Interventional Spine and Sports Medicine. After graduating from medical school at Kansas City University of Medicine and Biosciences, he completed his residency at Thomas Jefferson University in Philadelphia, PA, a model system for spinal cord injury. Dr. Derrington then completed a fellowship in Napa, CA, with Marko Bodor, MD, advancing his skills in diagnostic ultrasound, interventional procedures using ultrasound and fluoroscopic guidance, regenerative medicine, and electrodiagnostics. Prior to joining Health Link Medical Center, he received additional regenerative medicine training with the founders of Regenexx at the Centeno-Schultz Clinic in Colorado. He has published papers and textbook chapters on spine procedures, tendon disorders, and ultrasound-guided injection techniques. As a doctor of osteopathic medicine, he understands the connection between structure and function and devises treatment plans to help the body heal itself without surgical intervention. Dr. Derrington stays active via CrossFit and enjoys eating good food, going to concerts, and exploring the Bay Area. Dr. Norman Deitch came to chiropractic at a late age after a successful career in the fashion industry. He was stimulated by his older son Jason’s passion for natural health and healing and at the age of 53 became a full time student with his younger son Joshua. Graduating together in 2000, Dr. Deitch moved to Carlsbad and opened his first practice in Oceanside. After retiring in 2006, he had treatment on his low back for disc protrusions and had amazing results. He then decided to pursue more knowledge in this specialty and opened Health-Link Medical Center in February, 2008 dedicated to providing the most advanced treatments and technologies for musculoskeletal conditions. Dr. Deitch is certified in many techniques including Manipulation Under Anesthesia, Pettibon Structural Analysis, Impulse Non-Force Instrument Technique and many others. 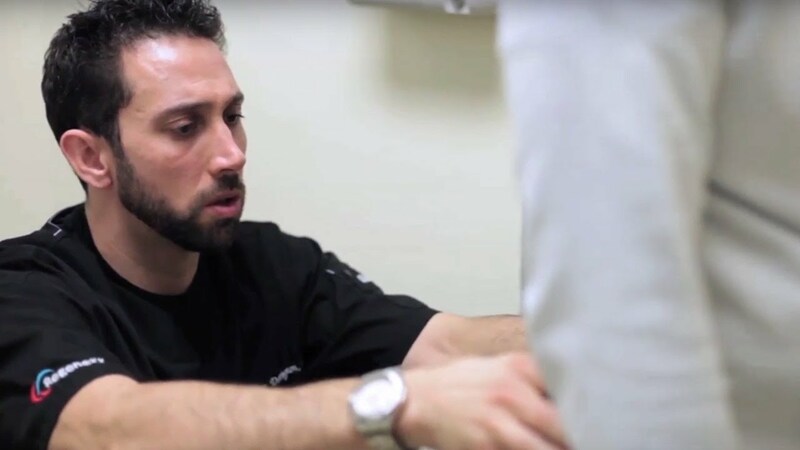 Known by his patients for his innovative approach diagnosing and understanding the cause of pain and dysfunction, Dr. Deitch became well recognized as a doctor who can “fix problems”. While no longer in active practice, Dr. Deitch brings his special skills and knowledge to a highly qualified professional team of physicians and staff.